This general purpose, light-duty, utility squeegee, features a super flexible, soft edge, that works great for countless applications. The Silver Streak is more pliable than our teflon squeegees, making it capable of laying down vinyl in areas that would usually require a roller. Effective for shaping vinyl across protrusions, into crevices, over rivets and around flanges, installers can command the Silver Streak to do just about any wrap or vinyl installation job imaginable. 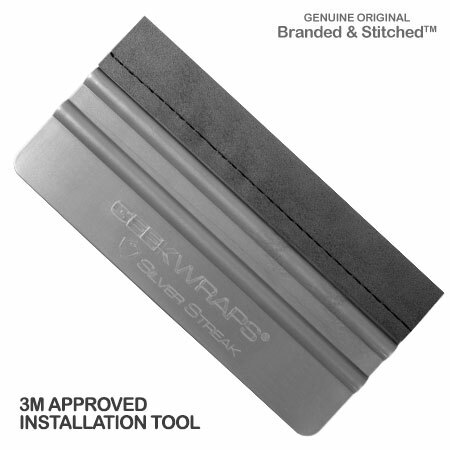 If you prefer a flexible squeegee and are looking for a soft edge, give the Silver Streak a shot. This durable, two-ply, soft edge squeegee, will last you 800,000 rubs and can be used wet or dry.